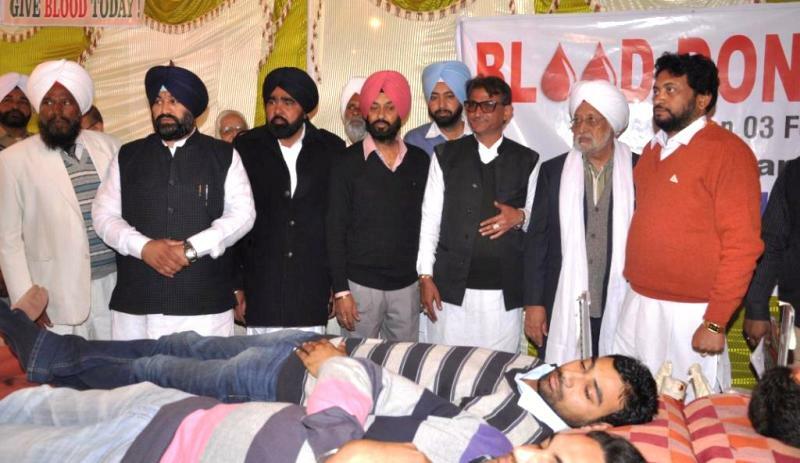 The Sant Nirankari Charitable Foundation organized a blood donation camp at Sant Nirankari Satsang Bhawan Kharar. Here 250 volunteers (including 74 females) donated the blood. Sh. Kuldeep singh Advocate Municipal Councillor, Kharar was overwhelmed with emotions to see the enthusiasm of the devotees of the Satguru Baba Hardev Singh Ji Maharaj and volunteered all possible help in such social welfare activities or programs of the mission.Dr.B.S.Cheema,Zonal Incharge, Chandigarh Zone was thankful to all the donors for there spreading massage and prayed for the blessings of the Satguru. Shri Harjit Singh Convener Kharar, Krishan gopal lamba, Rarjinder pal singh, Bharpur singh who motivated the donors, expressed his gratitude to them for their immense response.A team of doctors and technical staff from Govt. Medical collage & Hospital Sec-32, Chandigarh and the team of local civil hospital collected the blood.